Aluminium and glass garage door is both strong and stylish. Available in Frameless glass Garage door and Aluminium and Glass Framed garage door. The Glass and Aluminium garage doors is the modern way to beautify your home. 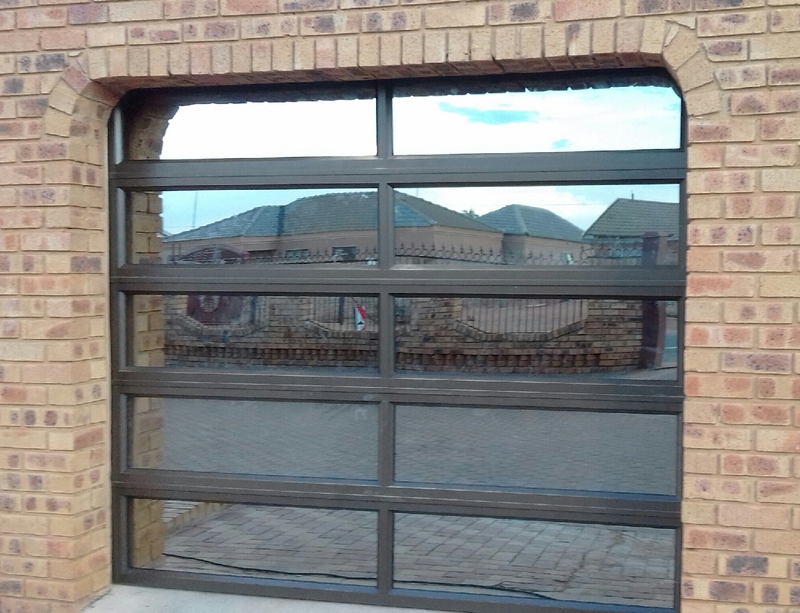 Our Glass and Aluminium Garage doors look fantastic as part of almost any exterior décor and they are also reliably sturdy. The Aluminium and Glass Garage door has Excellent weatherability and UV resistance. The Glass and Aluminium garage door is glazed with 6.38mm shatterproof/intruderproof Safety glass in any colour of your choice, so you can be assured of your family and belongings safety while still keeping that personalised dream-home look.